Explore, Dream and Learn! This is the Miami Valley&apos;s premier family learning destination. As the region&apos;s hands-on Children&apos;s Museum, Science-Technology Center, Natural History Museum, Planetarium Observatory and Live Animal Zoo, people of all ages can explore, dream and learn! This is the place to go when you are interested in science and technology and it is focused on kids. Depending on the interests, ages, and length of time you do need to set up your priorities. They always have some “Current Featured Exhibits” which means they are available until a certain date. Here are some Permanent Exhibits. The Discovery’s Live Animal collection consists of over one hundred animals and insects located in several areas of the Museum. They are adorable, furry, feathered, and sometimes even scaly, but most visitors agree – the residents of the Discovery Zoo are a must-see. The Discovery Zoo consists of over one hundred animals and insects, ranging from entertaining river otters and engaging prehensile-tailed porcupines, to the ever-popular Madison the bobcat. 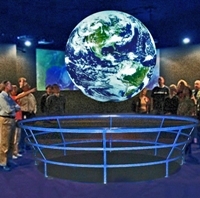 Planetarium Show which is a live, interactive show presented by the Boonshoft Museum&apos;s Astronomy Department. Full-Dome Films are family-friendly educational films bringing to full-color with images of Earth, space, and even the distant past! 3D is the next generation of this state-of-the-art system utilizing LCD shutter lens technology that brings images close enough to - almost! - touch. The Dome incorporates “Active Stereo” technology, requiring high-end 3D glasses with LCD shutters that blank one eye at a time, with refresh rates up to 120 Hz. 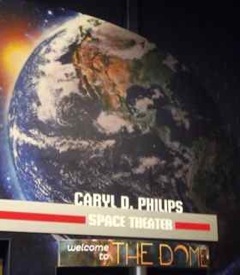 This 68-inch diameter globe, suspended in mid-air, takes you on a dynamic tour of Earth and space! Go where you’ve never been and take a tour of the cosmos from an entirely new perspective! Imagine exploring the darkest reaches of space and viewing some of the most breathtaking astronomical phenomena in the galaxy. 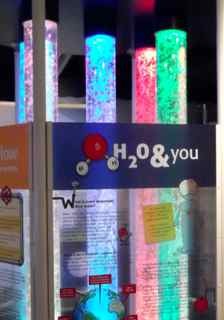 The Boonshoft Museum’s newest permanent exhibition will let you do all of that – and more – in one place! Do some grocery shopping, become a veterinarian, tune up a car, preside over a trial, and learn the importance of recycling—it’s all part of the educational fun of Explorers Crossing, where kids discover their potential to be whatever they dream of. 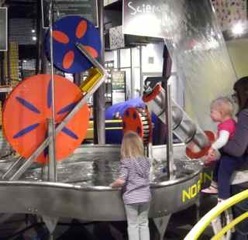 Splash your way through this exhibition that explores the story of water in the Miami Valley! Discover more about our local aquifers, learn about conservation efforts and what you can do to preserve this natural resource, and even explore water careers. Is science your favorite subject? If so, then you need to pay a visit to the Do Lab. Here, a knowledgeable staff member from the Education Department will lead you through all kinds of gross, fun, and startling interactive science experiments. No matter what experiment you and your child perform, you’re sure to have fun in the Do Lab, where education and entertainment mesh perfectly—and where understanding science becomes the cool thing to do. And of course you can swing by the store for so many scientific specials! 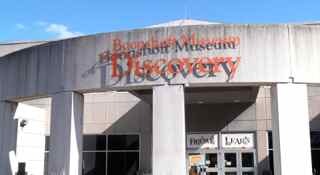 As you are heading out the Boonshoft Museum of Discovery you will be thinking even more how the exhibits, the activities, the user friendly exhibitions are so engaging and exciting. 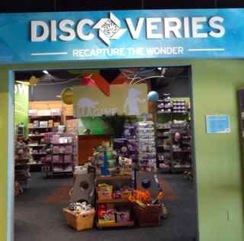 Please note: The Dayton CVB has compensated me for my thoughts on the Boonshoft Museum of Discovery.